Sorry if took me a while to update our Singapore tour. I am in this new and exciting season! Anyway, here's my travel diary for our second day in Singapore. Because Dan and I got tired the day before, we woke up late and went to Universal Studios at about 1pm. Again, Dan booked our ticket via www.asiatravel.com where we found cheap deals. We got our ticket for only S$66; we saved up to S$11 each. The ticket included a S$5 meal and a S$5 retail discount (with a minimum purchase of S$35) vouchers. I'm not a fan of amusement parks, but Universal Studios blew me away! The park has seven themes: Holywood, New York, Sci-Fi City, Ancient Egypt, The Lost World, Far Far Away and Madagascar. Its rides and shows are simply world-class! 1. Mel's Dinettes. It's a musical waitresses street show. The waitresses sang and danced very well. 2. Lights, Camera, Action! Hosted by Steven Spielberg. It lets you experience a movie production - a hurricane to be specific. Wow! 3. Transformers: The Ultimate 3D Battle. This one is a must-try! Experience 3D in a whole new level. This is indeed the ULTIMATE 3D BATTLE. 4. Revenge of the Mummy. Now this is our favorite ride. Just imagine a high-speed roller coaster ride in total darkness. Top that! 5. Water World. It's an interactive, entertaining live show with daring stunts, cool explosions and pseudo gun fires - yes, like kaboom and bratatat. Hehe! Dan super liked the show! After some explosions. Mausok na (It's already smoky)! How about the rest of the rides and shows? The kids would love it! When we have kids, we'll go back there. The experience we had was just awesome. Ang galing (magnificent)! Go there on weekdays. It'll save you a lot of time from lining up. It took us just about 5 hours to experience almost everything. Our friend said that if you go there on weekends, lining up for just one ride will take you for about an hour, just imagine the hassle! If you happen to go there on weekends, just go straight to the ones I mentioned above. Believe me, those are just the ones you would want to experience UNLESS you're a kid or you love kiddie stuff. Hehe. Bring someone with you. This theme park is best enjoyed when you're with your family or friends. Bring extra cash for food or souvenirs. Wear flats. You are going to walk A LOT. Bring extra shirt. There is a ride there that you might get wet. Di namin sinakyan dahil ayaw mabasa ni Dan (Dan didn't want to get wet so we chose not to ride). Haha! I know this is too detailed but, yeah, I want to include this on my blog. Hehe! We met Janice, a friend of mine, and Dino, her boy friend at Astons Specialties. It's a five-minute walk from Universal Studios. The restaurant offers western food. It has a nice ambiance; just the right place to catch up with friends. Prices range from S$8 - S$10. For our dessert, Janice treated us at the food court of Vivo City mall that is just a 15-minute walk away from Astons. Prices range from S$2 - S$5. Done with day 2 and looking forward to sharing with you our day 3 in the beautiful city of Singapore! Transportation System: Bus, train and taxi. Download Explore Singapore for MRT app. It will help you know the estimate time and the exact fare from what train station you are from to your next destination. It is my first time here in Singapore. It is a small country that is almost the same size as Manila. It has wide and clean streets. I could say that this country was carefully established and very well thought of. The top four races here are Singaporean, Malaysian, Indian and Chinese. Life here is fast-paced, in fact, Singapore's escalators are not just faster than the Philippines' but also have provisions for fast lane. People here are very work-oriented. Dan already booked the hotel we are going to stay in and that is Hotel 81 Palace which costs about $40/night. It is the cheapest hotel to stay in as of this time. Since we are out almost all day, we don't need a luxurious hotel, we just need a place where we can rest after a long day of exploring the country. Visit www.agoda.com for a wide variety of hotels. The hotel is located at 25 Lorong 16 Geylang, Singapore. From the airport, here are the steps on how to get there. 1. Buy ezlink card from the airport. You will need it for your transportation. It is like an LRT/MRT card, only better. You can use it not just in trains but also in buses, blue taxis (which have ezlink stickers) and even 7/11. The card costs S$12 and it has S$7 load. If it runs out of load, the minimum amount that you can put in is S$10 in all train stations. However, you can put less than S$10 in your card at 7/11 outlets but it has S$0.50 charge. 2. Take the train from Changi Airport going to Tanah Merah. When you arrive at Tanah Merah, take the left exit and transfer to another train going to Aljunied. 3. Turn left in Aljunied road from the Aljunied MRT station. Turn right at the first junction and walk straight. Turn left on the third street which is Lor 16 Geylang and there you will find the hotel. It is just a 10 to 15-minute walk away from the MRT station depending on your pace. Don't worry, the street signs are large and there's just a slim chance that you might get lost. Don't ride a taxi; it is costly! Guide from Aljunied MRT Station to Lorong 16. - It is located in the red light district which we initially didn't know. - It has a costumer-friendly staff. The staff attended to almost all our needs. They printed almost all our online booking receipts and gave us extra pillows free of charge. - It has free wifi. - It has a comb, a shower cap, a blower, towels, and toothbrushes with toothpaste on it per room (which I find weird by the way). - It has a socket compatible with the Philippines' electronic devices per room. - It has hot and cold water. Look at that. The toothpaste is already on the toothbrush. Weird, huh? Just the right socket for our gadgets! So much for our hotel. Let's go to our itinerary for the day which is the Merlion Park and the Night Safari. Merlion Park is located at One Fullerton, Singapore. It is one of the major tourist attractions in Singapore. It is believed that the Merlion protects Singapore's prosperity. There is nothing much to do there but to see the beautiful man-made scenery of National Art Museum, Manila Bay Sands, Singapore Flyer etc. It's amazing what men can do! After taking several photos, we went to Causeway Point Mall to meet a friend. Franz, Dan's friend is one of the supervisors of Causeway Point Mall. We went there to meet and catch up with him. He paid for our dinner at the Food Republic and we tried a variety of food delicacies which we liked. Let the picture speak for itself. Thank you Franz for the treat! We enjoyed the food and the conversation. I'm an avid fan of Nat Geo Wild that is why going to Night Safari is part of our itinerary. It is the world's first night zoo. There you will see lions, leopards, hyenas and many more animals. The idea of having to see the animals at night thrilled me. If you're a wild animal fanatic, I suggest you go there. Walang ganito sa Pilipinas (There is nothing like this in the Philippines). 1. Ride Night Safari's tram and enjoy a 40-minute educational tour to the "wild". I enjoyed the ride because I saw the animals I haven't seen before up-close. 2. Walk on different trails and see different animals that are not in the tram journey. Trails include (1) Leopard trail, (2) Fishing Cat trail and (3) Wallaby trail. I had so much fun! I was amused to see actual animals that I just usually watch on tv. 3. Watch their live shows - You will be able to enjoy the Thumbuakar Performance and Creatures of the Night Show. We arrived at around 9:30 so we missed Thumbuakar Performance which is at 9pm, but we still enjoyed the night regardless! Creatures of the Night Show was fun and very educational. They have showcased amazing performance by animals like snake, hyena, leopard and otter. Sana mapanood niyo ito (I hope you could watch this show). Operation time of Night Safari is from 7:30pm to 12:mn. For tickets, visit www.asiatravel.com. It is cheaper to buy at asiatravel than in the Night Safari. Behind us is the tram. Because we finished a bit late and trains closed at 11:30pm, we rode a bus going to Ang Mo Kio and rode a taxi to our hotel. What a great day! Our feet were tired because of walking all day long but the memories built were all worth it. Naks! Yehey! Thank You Lord!!! After a day's work, I together with Dan and Carlos, our friend decided to eat at Kaf Casual Dining located at #12 Redwood, Marikina. Photo taken from Kaf's Facebook page. 1. AMBIANCE. Dan and I have been working all day and we want to relax a little bit. This place made it happen. Their brick wall, wine bottle decors and air-conditioning made it look and feel like it's a good place to chill. (Left) Dan & Carlos hiding from my camera. (Right) Brick wall and wine bottles. 2. FOOD. We ordered tapa, Kaf's best-seller, which is thinly cut (like bacon) and tastes really good! Dan was satisfied because of their big serving, which, I think, is good for two people. But what about for some of us who are light eaters? Good news! They also have a smaller serving of tapa meal which costs P99. It is not included in the menu but you can ask for it. Take note though that they only have smaller serving for tapa. 3. STAFF. I just like to commend Kaf's staff. They are very courteous and service-oriented. Dan specifically requested for scrambled eggs but for some reason they served him with sunny-side-up. Although it is fine with Dan, the staff was very apologetic and still insisted to replace the egg. That simple gesture made us appreciate the staff of Kaf. They were very considerate and sensitive to us. To the staff of Kaf, you're doing a great job! Overall, the relaxing ambiance, delicious food and accommodating staff were really worth the price we paid. We will definitely go back there. I'll leave you with a bonus of some details of the shopping area beside Kaf. Oh My Bag is a shopping area of bags and accessories. It is just a sliding door away from Kaf, Apparently, the mother of Kaf's owner owns Oh My Bag (shop's name). There, you will find brand new and preloved original bags from Canada and United States like Nine West, Long Champ and many more. Prices range from P1,500 - P5,000. They accept all major credit cards. I am thrilled to share with you some travel tips from Dan, my husband. He is our family's master travel planner; he books our flights, does our itineraries and budgets our trips. I'm sure you will learn from his years of travel experience. But before you read his blog, I just want to take this time to thank our moms, mama Marilou and mama Cecil. Their generosity allowed us to go to different places. Mga mama, SALAMAT po sa kabaitan niyo! Napakapalad po namin ni Dan. We love you both. Anyway, enjoy reading Dan's blog and wait for more of him on my website. Yehey! Feel free to leave your comments, encouragements, travel questions, etc. Dan & I at St. Paul, Macau. This is our first out of the country trip together. Ever since I was young, I have always dreamt of going to different places. I've watched National Geographic Channel thousands of times and I would stare at a map several hours thinking when will I be able to go to these places. Eventually, after getting married, we decided (me and Phoebe) that traveling will be one of our family's values, not for the sake of traveling alone but to build memories together through the years. One of the most exciting parts, for me, when traveling with my wife is not when we are in those tourist destinations or even on the airplane, the fun part starts 2-3 weeks before our trip. It's when I'm doing our trip's itinerary and preparations. It gives me the thrill because this is the part where I imagine and I actually vividly see the things that are about to happen. Here are some of the things I do before and during our trips. I hope this will help you prepare for your future trips. 1. BOOK THE TRIP. I usually book a trip 6 months before so I can avail promos and have an ample time to save up and plan. 2. RESEARCH. I spend countless hours, at least 3 weeks before the trip to research about the place we are about to go to. Why 3 weeks and not months before? It's best to research during this time to get the most updated information and prices of the amenities you want to avail and the activities you want to do. I usually read blogs of people who have been to the place where we are going. They provide very helpful information which help me choose activities and even allocate budget. Make sure to check if you will need a visa in going to a certain country (refer to this site to know which countries need visa and which who don't). 3. MAKE AN ITINERARY. Count how many nights will you be in a country. This will give you an idea how much budget you will need to pay for the hotel (better to have a flight that will arrive at around 12nn to maximize your first day payment). There are a lot of places where you could go to if you are in a new place, my tip is to go to places where most tourists go (famous spots). Our itinerary to Singapore and Malaysia. 4. ALLOCATE YOUR BUDGET. These are the usual non-negotiable in our budget. Exchange your money to US dollars. I do this on the day of departure. Don't exchange in the airport because the rates are waaaaaaaay different (make sure to have an extra peso for your taxi fare when going back and for your snacks in the airport and on the plane). Print your ticket itinerary. You will need this in checking in your luggage, in the immigration and sometimes even upon entering the airport premises. Have a bag where you could put all your important things: passport, ticket itinerary, money, boarding pass, pen (for immigration), earphone for your tablet or cellphone (when the trip is long). Do not put any liquid here since it's not allowed for hand carry. It's good to have a small notebook and a calculator - the notebook is where you put your expenses and some important details (in case your phone runs out of battery) and the calculator is for money exchange and some minor daily computations. Phoebe and I with our body bags. Since most promo trips land in different countries late at night or very early in the morning, make sure you research which taxi company is the cheapest and the most honest. As soon as you arrive, you will need the country's currency to pay for your taxi or the bus ticket and even for your first dinner. Don"t exchange all your money in the airport since rates there are waaaaay low. Exchange at least 50$ only. In exchanging anywhere, make sure to count the money at least twice to avoid being unawarely robbed. Have a photo (even in your phones) of the place or address you are staying. this will spare you in playing instant charades with the driver. Make sure your watch is in-sync with the country you are in to avoid confusion during your stay. Be kind but also be wise. Don't trust right away to avoid being fooled. Maintain stiffness (serious look) and be in control of the situation. And that's it! May this serve as a help for future travelers out there. Enjoy your trip and we hope we could bump into each other during one of our future trips. And for this first blogging gig, I'd want to share this place with you! Sooooo much to love about mornings! :) Will share a bit of that later but for now, I'd like to invite you to the heart of Marikina City and share this lovely place that makes mornings extra special! Featuring: Rustic Mornings by Isabelo! They're located at 11 Isabelo Mendoza st. San Roque, Marikina City. I was looking for a new place to relax, unwind and just spend my alone time reading a good book. I heard about a breakfast place and thought to experience it for myself. True enough it has proven to be one of the best breakfast places I've been to! What's to love about Rustic mornings? Whether you pick the outdoor or the indoor part of the restaurant, it's sure to give you a cozy and homey feel. They have creatively hung pieces from recyclable or simple everyday materials put together as finishing touches that adds to the artistic atmosphere of the place. Indoors, you'll find their wooden, white and blue ensemble classy and comforting! It's air conditioned and they have wifi access which makes the place suitable if you want to work or have a business/work-related meeting. Might I add, they also play music that's sure to give you an all day morning feel! 2. Wide selection of reasonably-priced good food. They serve a wide range of menu choices. From Filipino breakfast plates to pancakes and toast. They also serve a selection drinks: a variety of coffee, smoothies and FRESH (yes--Only freshly squeezed!) fruit juices. 3. All day breakfast! Good news for people who love breakfast! Missed breakfast because you woke up too late? You'll definitely enjoy this place because they serve "all day breakfast". They're open from 8am until 4 pm. But hey, what's a good place without a great friend to share it with?! So on my next visit, I made sure to invite a friend along. Thanks to this wonderful place, we had a great time catching up, sharing stories and taking pictures over a hearty and healthy breakfast. It was a good place to spend time with a great friend! If you're looking for a really nice breakfast place, this restaurant is a must-try! What I loved about this particular morning? Good food, a wonderful place and a great time with an awesome friend! But what I really really really love about mornings? Fresh starts, endless opportunities and God's grace that proves to be new every single day! Rise and shine! Great mornings up ahead! Hi my dear readers! Meet Kat Reyes, one of my closest friends. We've been friends for seven years now. She's one bright woman. Ang dami kong natututunang English sa kanya. Haha! She's going to share with you our trip to Coron, Palawan. First time nating magkakaroon ng guest blogger dito. Yehey! While reading her blog, natutuwa at natatawa akong alalahanin ang memories namin sa Palawan. If you haven't been to Coron, I highly encourage you to go there. It's a must-see plaSarap balik-balikan! Di ko na papatagalin pa, ito na ang blog ni Kat. Coron, Palawan is among the best tourist spots in the Philippines. We have fought tooth and nail just to be able to visit this wonderful island but being listed in Forbes Traveller Magazine as one of the best scuba diving sites in the world wasn’t the reason why we were so adamant in spending the remaining days of summer of 2013 here in this paradise – we just love to travel and the girls just wanna have fun! This was the first out of town getaway of the Supah Sisters so we went all out. Our friend Tine became our official vacay coordinator and she did a great job in budgeting and planning, must be the perks of having a lot of connections. The goal was to enjoy but not spend too much. Our adventure did not start when our plane landed on Busuanga, it started while we were still up in the air. We were so excited to finally experience Coron but while the 8 of us were looking at our window to have a glimpse of the island, our pilot decided to burst our bubble and informed us that we were not be able to land because of zero visibility in the air strip of Busuanga. Imagine our dismay on that day. We landed back to NAIA and since we’ve got nothing else to do but to wait for the next flight which is the next day, we decided to checked-in in a hotel wherein we spent our supposedly Day 1 in Coron. This was a crucial part because our hotel in Coron didn’t allow us to cancel the first day of our stay even though it was an unforeseen circumstance and our expenses were already budgeted. We didn’t want some unnecessary spending. A stay in a hotel was something that we have to talk through. We have settled to stay in One Pacific Place, a hotel in Makati which is not that pricey and not cheap either. But because of the said connections that we have, we were able get two bedroom suites for the price of Php 1,000 each for that night (thank you, Tita Cecil). We ate bread, noodles and canned goods for our dinner just to stay in budget but time spent with the girls during that first night was priceless. We woke up the next day with the same excitement and thanked God we were able to land safely without anymore drawbacks. A shuttle going to our hotel picked us up and we paid Php 300 each (for pick up to and fro). We stayed at Balaibinda Hotel with a total expense of Php 1,912.50 each for the whole stay with complimentary breakfast meal and free wifi. It was truly worth it. We had options on what to have for breakfast and we grabbed the opportunity to try what Coron has to offer us. We never squandered any time while in Coron. Right after every breakfast, we immediately set off and explored the islands. We rented a boat with a tour guide for 3 days for an amount of Php 4,600 (that includes our entrance fee for all the islands we went to). We enjoyed snorkeling at Siete Pecados then on Kayangan Lake and we made a stop at Twin Peaks where I have experienced the highlight of my day 1 - being stung by a jellyfish and it was a big one (yup, no joke). I’ve been the subject of jokes all throughout. What else would you expect from all these girls, they are crazy but I love them. For the remainder of the whole trip we are just in awe of all the things we have encountered. From cliff diving at the Barracuda Lake to snorkeling one of the shallowest shipwreck sites at the Skeleton Wreck. We pampered ourselves with a dip from one of the hot springs during our last night and on our last day, we got pleasure from the picturesque view of the whole town after climbing the 700 steps of Mt. Tapyas. Our late summer vacation was truly spectacular. We have once again been amazed by God’s wonderful creations. We were able to relax and enjoy the company of those we love. We may have went home with injuries because of the jellyfish sting (Kat), splinters (Aileen, Ariane), blisters (Che, Tine) and bruises (Phoebe and Zee) or someone may got out of there injury-free (Jv) but going to one of the most breath-taking islands in the world with my Supah Sisters was an experience that I would never trade in the world. This experience prompted us to be closer and be more aware of what God has been doing in each of our lives. We made sure that nobody gets left behind, that no matter what season we are in, we got each other. And oh, I told you earlier that we aimed for a good time without being off the budget right? Guess how much we spent for the whole trip? We each paid Php 6,700 for the incredible experience. It was totally worth it! So if you plan to take your next vacation in this stunning island of Coron, be wise on how to get a priceless trip with cheaper expenses. Baguio is the perfect place to escape the heat of the sun, for me! It's nice to have a vacation there because you will not feel that it's summer. Baguio is called the Summer Capital of the Philippines! My family has a lot of good memories in Baguio - treasured memories! Our trip this time was very different from the things said above. We didn't go to the places we usually go to. Instead, we went to Baguio's latest attraction - Baguio Eco Park. Baguio Eco Park opened this year lang. The place is not yet fully developed. It's kinda cool pa din naman. According to their site, it has three theme parks: (1) Dinosaurs Island, (2) The Holy Land and (3) Tuba Science Museum. Tuba Science Museum hasn't been developed yet so I can only share with you our experience in Dino Island and The Holy Land. This place is for the dino addicts and the kids! I'm not a dino fan but I personally had a Land Before Time flashback (play "If We Hold On Together" music now). It's my first time to see life-sized dinosaurs! My niece enjoyed our short stay there, in fact, she wants to go back the day after! This project is not yet done though. Marami pang ginagawa and dapat i-improve. Onti pa lang din ang concessionaires kaya medyo nagutom kami kasi naubusan sila ng food. The trail was taas at baba din kasi kaya nakakauhaw and nakakagutom. Price is P350 but we got ours for P199 lang because we got a good deal in Metrodeal. Okay for P199 but it's pricey for P350. Intentionally made it antique-ish for a flashback effect! Some pictures of the life-sized dinosaurs. It's not just a entertainment park, it's an educational park. Very creative comfort rooms. It's quite small but it's cute and clean. The last part of the tour will lead you to the dancing and interactive dinosaurs! It's really designed for kids. It's a place where they recreated the significant events in the Bible. At first, I don't want to go there because it seemed "corny" but when we entered, okay naman pala. "A" for effort sa mga gumawa nito! Clap, clap, clap! Mas na-enjoy ni Dan (my hubby) dito kesa sa Dino Island and I felt like I was in a different place din talaga. P350 is the entrance fee but we had 10% discount from Metrodeal. You can get a package to Dino Island and Holy Land for only P600 there. For my hubby, sulit ang binayad namin dito. Below are my personal favorites. I. Replica of Egypt. Dan liked this! 2. Mini maze. We went to all the wrong ways before we found the right way out. 3. Parted Red Sea. May mist pa dito para maka-add sa "feel". 4. The Village. I felt like I was in a different place. I don't know where though. Towards the end of the trail is the story of Jesus' life - from birth to His tomb. As a sign of respect, we were not allowed to take a picture inside the tomb where His body lies... But did you know that Jesus did not just die but rose again after three days? Have you ever wondered why He has to rise from the dead? He could've just stayed dead and be remembered just like other heroes. But why does He have to be risen? If Jesus did not resurrect, then our faith is futile & useless and we are still in sin (1 Corinthians 15:12-19). The story of our salvation did not just end at the cross. It was made complete by the resurrection of Jesus Christ! By the cross, Jesus was seen and treated by God in the way that sinners are to be seen and treated. By the resurrection, sinners can be seen by God in the way that Jesus is to be seen and treated. We are not just forgiven but by the resurrection, we are also welcome into the presence of God forever! Wow! Kaya nga dapat masaya itong panahon na ito! This is a season to celebrate! I decided to blog about our trip to Fort Santiago and Rizal Park because it's Rizal Day! Today, we remember the death of our national hero. Because of him (and our heroes), Filipinos were freed from slavery. On December 27, we (hubby, sister-in-law and nieces) attended my sister's birthday party in Manila and decided to visit some historical places there. My husband had a brilliant idea of touring it... via kalesa (carriage). The kids enjoyed the ride. Me, Dan, Janine, Mavid, Arwen (left to right). Selfie inside the kalesa. Not the kalesa we rode. I thought it's really cute that is why I took a photo of it. Haha! We visited quite a lot of places but for the sake of this blog, I will just focus on Fort Santiago and Rizal Park. I will just share my highlight/s per place. FORT SANTIAGO. This place is part of Intramuros (within the walls). This served as a defense fortress in the early days. Rizal was imprisoned here before he was executed. 1. Walking in a memorabilia of Rizal's footsteps. It's a representation of his final walk towards his death sentence. Tried counting the footsteps but my husband said 'I could just google it instead'. Hehe! He is such a genius! Oo nga naman! 2. Gwardia sibil (civil guard). The guards there were dressed like the old gwardia sibil. For me, it's really cool! It adds to the historic feel of the place. I wonder how manong (the guy in the picture below) manages to be cool under the sun with that uniform... Because of that manong, ikaw na! 3. Old structures. Its strong thick walls made it survive for over a hundred years! Wow! And because you cannot see edifice like those just anywhere, it's time for picture taking! RIZAL PARK. In this very site, Jose Rizal was executed by a firing squad. History meets 21st century. Rizal Park with Binondo (if I'm not mistaken) in the background. kung dahil sa iyong ikatitinawa. I would still give it to thee for thine welfare at most. Puerto Princesa is the capital of Palawan. It is located in my home country - PHILIPPINES. The city has been acclaimed several times to be the cleanest and greenest city in the Philippines. Went there for a vacation with my family last November 2013. I want to share a lot from our trip there but I want to keep my blog short. Hehe! So here are my top three (3) "must visit" places in Puerto Princesa. 1. UNDERGROUND RIVER. It is the main attraction in Puerto Princesa. It is one of the New Seven Wonders of Nature and it is a protected and preserved site. What I like about this place are the stalactites and stalagmites. They are magnificent! I like their tour guides too! They are very friendly and funny! Haha! With my best friend, my sister, Honey. 2. BEACHES. White sand, clear water and fresh air! For beach lovers, you'll surely love Puerto Princesa's beaches. Great place to relax and have fun! Sand in between seas. Cool, huh?! 3. IWAHIG RIVER (FIREFLY WATCHING). This is definitely one of the places you don't want to miss visiting! The tour was very educational and simply awesome! I cannot explain the feeling... Haha! 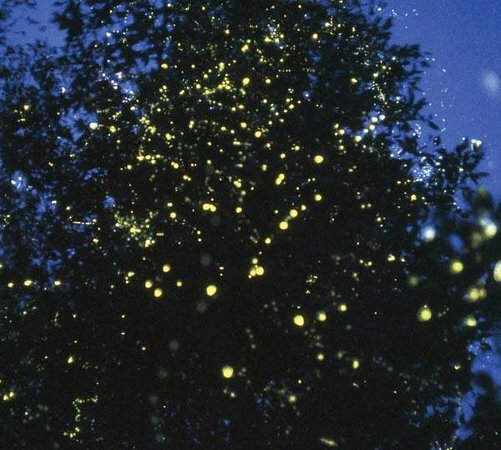 Of course, it's my first time to see thousands of fireflies. I was awestruck!!! Look at the picture below. It's not a christmas tree with christmas lights, they are fireflies in a mangrove tree. Amazing, right? This place made me thank God more for His wonderful creations!